HostSearch interviewed Craig Gendrolas, the Founder and CEO of DTS-NET - a leading provider of wholesale and retail telecommunications services and cloud hosting solutions. HOSTSEARCH: Thank you for giving us an opportunity to talk with you today. Can you please introduce yourself to our visitors? CRAIG GENDROLAS: I started DTS-NET in 1997. The Internet was just starting to get very popular in 1997 and I wanted provide premium support, hosting, and business solutions for start-ups to large enterprises at a great value for the customer. I have lots of fun doing this. I actively work with customers daily and enjoy my work! HOSTSEARCH: Can you tell us a bit about the history of DTS-NET? CRAIG GENDROLAS: DTS-NET was founded in 1997, and is a privately owned, located in Southington, CT, USA. Our purpose for existing is to provide personal, business, educational, and community access to the Internet. In our efforts over the years to become the best Internet service provider in the region, we have identified several points that we think distinguishes us from other Providers in the industry: We provide the latest state-of-the-art Internet technology to businesses, individuals, public institutions, and non-profit organizations. We offer the highest quality services available at the most affordable price possible. We concentrate on offering technical muscle and know-how, while avoiding marketing hype that does little for the consumer. We are honest and open with customers, and offer an unsurpassed support infrastructure which enables us to resolve problems in a timely manner. While we are not the largest provider on the block, our firm establishment and technical ability in the industry put us in the unique position of being able to offer services that our competition cannot. We have what it takes to make the Internet work for you. DTS-NET is a leading provider of wholesale and retail telecommunications services, using our own network infrastructure to route data worldwide. By introducing innovative products and services, creating global business alliances, improving on existing businesses, and developing new ones, we're changing and establishing how people will communicate with each other throughout this century and into the next. DTS-NET one of today's leading providers, along with other innovative telecom and Internet-related businesses. HOSTSEARCH: Could you give us an overview of DTS-NET’s products? CRAIG GENDROLAS: DTS-NET offers a number of options when it comes to hosting solutions, including shared web hosting, reseller hosting, virtual private servers and dedicated servers. 24/7 customer support and also have a price match guarantee. If you simply want to start your own website, this is the plan for you. It starts at just $1.95/month for 10 GB of storage and the ability to use a free website builder. If you need a bit more space, you can go up to either the 50 GB plan for $5.95/month or the Unlimited plan for $8.95/month. DTS-NET does their reseller hosting in an interesting way. Instead of limiting the space or number of sites you can have, they offer three packages based on different operating systems. The Linux system runs only $4.95/month to start and features cPanel. They also offer Windows Server with Plesk control for $29.95/month or Apple OS X Server for $99.95/month. The rates for VPS start at a very reasonable $6.95 a month, but plans start at 1GB and go up from there on RAM and start at 50GB and go up for space. For an exact rate, you should consult with the specialists at DTS-NET as they will ascertain your needs and give you a package that best matches those needs. Each server comes with hundreds of available IPs. Dedicated servers run more, but the final cost, again will depend on your individual needs. HOSTSEARCH: Can you tell us more about Professional Business Services? CRAIG GENDROLAS: Focus on customer satisfaction. In an age where it’s difficult to speak with a human being at any company, we pride ourselves in providing prompt personal service. Contact us with any questions, and our staff will be happy to answer them. Integrity in all we do. Integrity guides every decision we make and all interactions you have with us and our staff. Custom solutions. Don’t find what you need on our website? Just let us know what you need and we’ll be happy to develop a custom package for you. From Internet Marketing, Database Design, E-commerce, Consulting Managed Hosting, Security to backup, global load balancing through our Cloud CDN. HOSTSEARCH: Can you give us some ideas of your company's facilities? CRAIG GENDROLAS: SSAE 16 SOC-1 Type II Compliance - A service auditor tests us every year, and we’re fully compliant. Redundant power supply – We have on-site UPS and diesel generators ready to seamlessly supply power; ensuring zero downtime. Fully redundant cooling and humidity control. Secure environment – Personnel are on-site 24/7. You have to check-in and get pre-approved access before you even set a foot on our premises. You receive an ID to our card-key access system. Video surveillance is present throughout the facility. In addition, we have proactive fire prevention and lightning protection system in place. Industry’s most reliable IP network – We use the latest generation routing equipment, multi-homed connectivity, high redundancy, and run it through a mesh of the leading Tier-1 internet backbones. Carrier neutral – DTS-NET is also carrier neutral so that you may access any carrier via a new circuit or an existing network. CRAIG GENDROLAS: DTS-NET is a company you can start with and grow with. It is a good choice for newbies because of the support and ease of use. 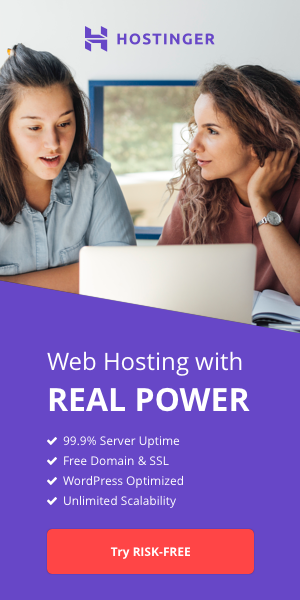 However, it is also a good hosting company for those with larger sites or sites that are growing, because of the ability to move easily from web hosting to dedicated servers. That what our customers says. HOSTSEARCH: As you are the Founder and CEO of DTS-NET, what are the factors that make you successful in this industry? CRAIG GENDROLAS: Work with the best People and Partners. 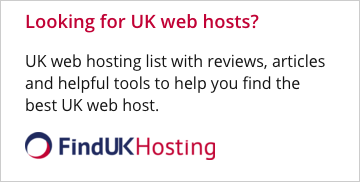 HOSTSEARCH: What do you think about the future trend of web hosting business? And how does DTS-NET plan to adapt to the trend? Since 1997 DTS-NET has been an established business here to help you make sense of all the new protocols and your ideas which are emerging as a result of the WWW, Cloud, Internet Of Things. We are here to provide you with the necessary tools that keep you up to date and competitive in the online world. You are guaranteed the lowest cost, fastest service, and greatest reliability. We bring the latest industry hardware and software applications to you. With our services your website is guaranteed to be there for your customers 24/7/365. for more detail please goto our web site. Our Company has over 100,000 domain names under management. HOSTSEARCH: Last question, let’s talk about customer support, can you please tell us more about how DTS-NET supports its customers? CRAIG GENDROLAS: 24/7/365 support via phone, email/ticket system, Live Chat.